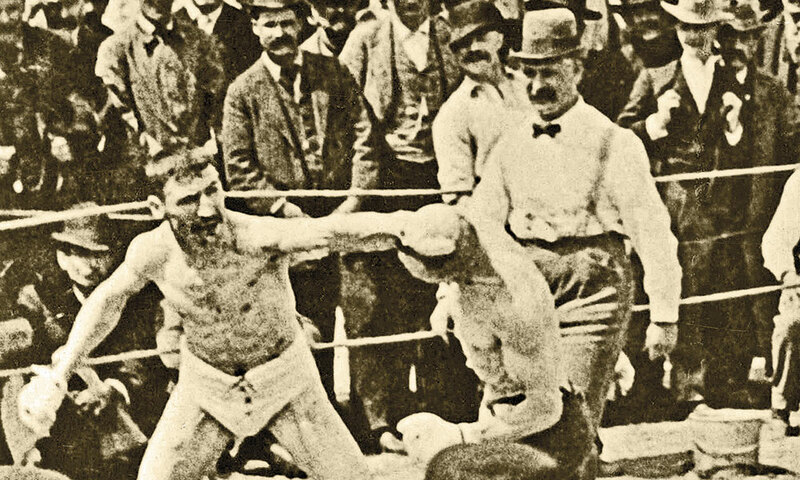 Originally identified as a photo of Peter Maher and Bob Fitzsimmons on February 21, 1896, this photo actually shows Australian Billy Smith vs Billy Lewis on March 17, 1894. 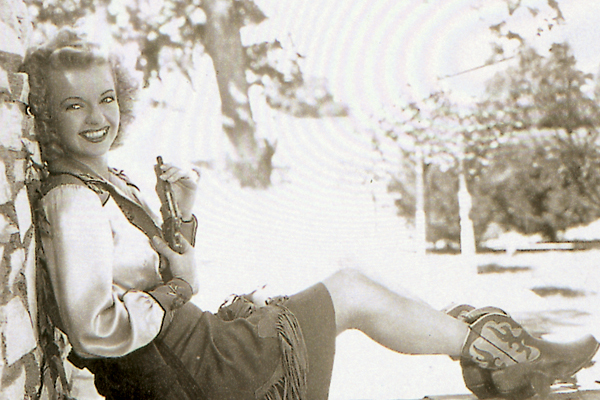 Over 65 years of publication, True West has developed a loyal following of readers who send us historical Old West photographs to preserve in our archives. Among these is a photograph labeled as showing the makeshift Peter Maher-Bob Fitzsimmons arena on a sandbar along Rio Grande, near Langtry, Texas, taken on February 21, 1896. 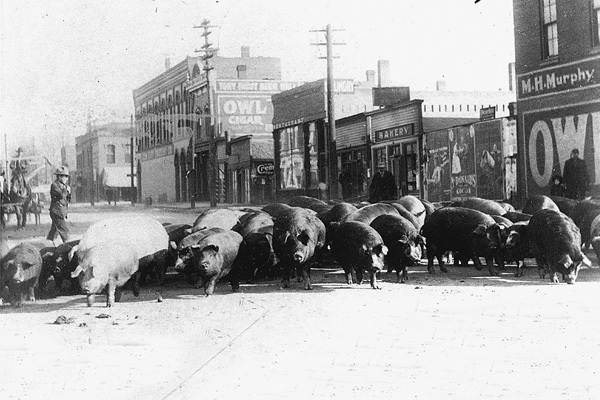 We believe this photograph is still properly identified. During the past decade, some of the top museums nationwide have shared their public domain images, fostering scholarship that used to be relegated only to those willing to search through physical archives to find material that is sometimes labeled incorrectly or without sufficient information to locate it otherwise. The J. Paul Getty Museum is among those top repositories. As the editor of this magazine, I also try to locate historical images for our articles. Because F. Daniel Somrack’s feature focused on boxing, I delved into a realm I don’t often explore, seeking matches that fit the frontier era. With Bat Masterson and Judge Roy Bean tied to the Maher-Fitzsimmons match he reported on, I tried my luck there. My search ultimately led me to “Fight Between Bob Fitzsimmons and Peter Maher, Coahuila de Zaragoza, Mexico,” the label for a February 21, 1896, negative in the collection of the J. Paul Getty Museum. 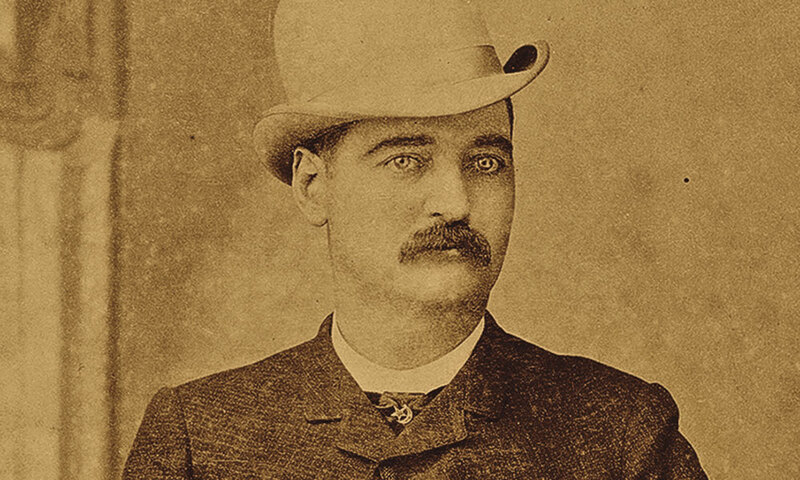 The photo does not depict the Maher-Fitzsimmons match where Bat Masterson (shown) watched over the $10,000 purse. Our loyal readers have helped us to correct this label, frequently misidentified as showing the Maher-Fitzsimmons match on this day, confirmed by authors Chris Cozzone and Jim Boggio confirmed that in their book, Boxing in New Mexico, 1868-1940. They reported the image actually depicts the March 17, 1894, boxing match between “Australian” Billy Smith and Billy Lewis; the latter ended up knocked out in the 14th round. The Smith-Lewis fight did take place on Mexican soil, across from El Paso, Texas, like the Maher-Fitzsimmons fight did, and that may explain how the image got misidentified. Sure would have been great if this photo had offered a view of the Maher-Fitzsimmons match, under the watchful eye of referee George Siler. Would have been even better if a photo was around of Wyatt Earp referring a boxing match. At least, thanks to our diligent readers and the research work of Cozzone and Boggio, True West can help correct the historical record on the Smith-Lewis boxing match photo. 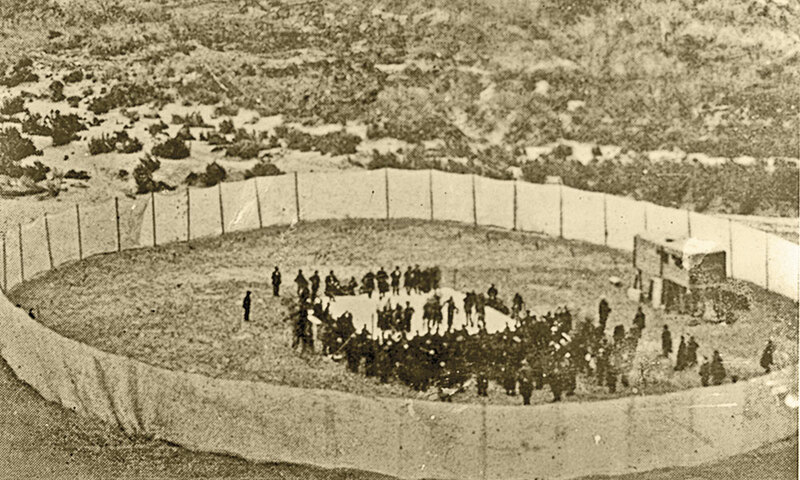 As far as we know, this photo is still correctly identified as showing the makeshift Peter Maher-Bob Fitzsimmons arena on a sandbar along Rio Grande, near Langtry, Texas, on February 21, 1896. 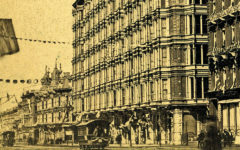 True West’s Ultimate Historic Travel Guide: The Pacific Coast Your guide to the best hotels, restaurants, and saloons in California, Idaho, Nevada, Oregon and Washington.